Ajiyoshi Yoichi is a culinary prodigy who manages the eating house together with his mother. One day, Murata Genjirou appears in the eating house and is surprised at the delicious taste and delicate culinary skills of the katsudon prepared by Youichi. 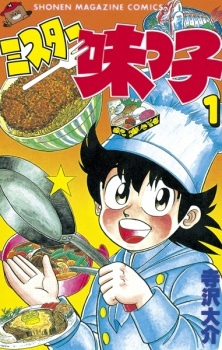 Subsequently, Youichi is being invited to the Ajiou Building in which he is involved in a spaghetti match with the in-house Italian chef, Marui. Youichi's novel culinary ideas, coupled with his enthusiasm of serving the best for his guests, allow him to defeat Marui in the match. From then on, Youichi begins to compete with other rivals in the race for the best tastes and dishes.